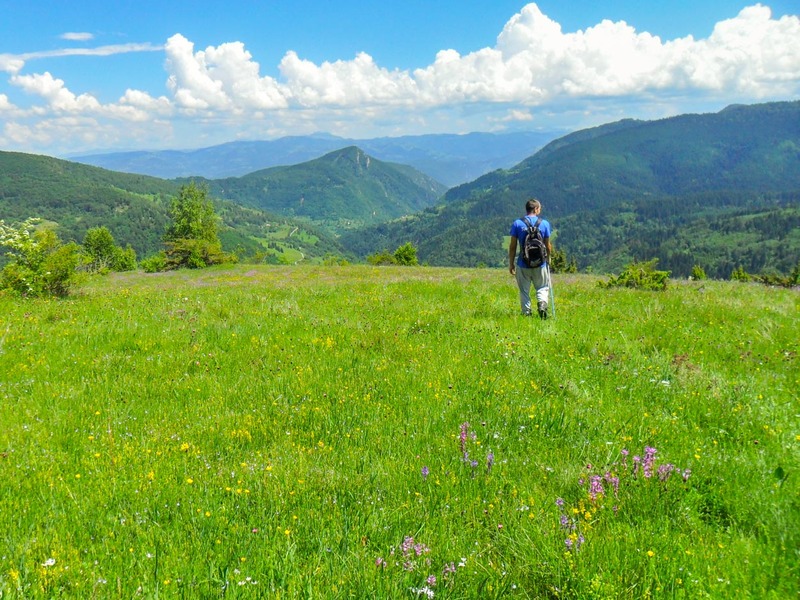 Trekking in Northern Montenegro – Discover and enjoy the real Montenegro through a trekking tour away from the neon lights. 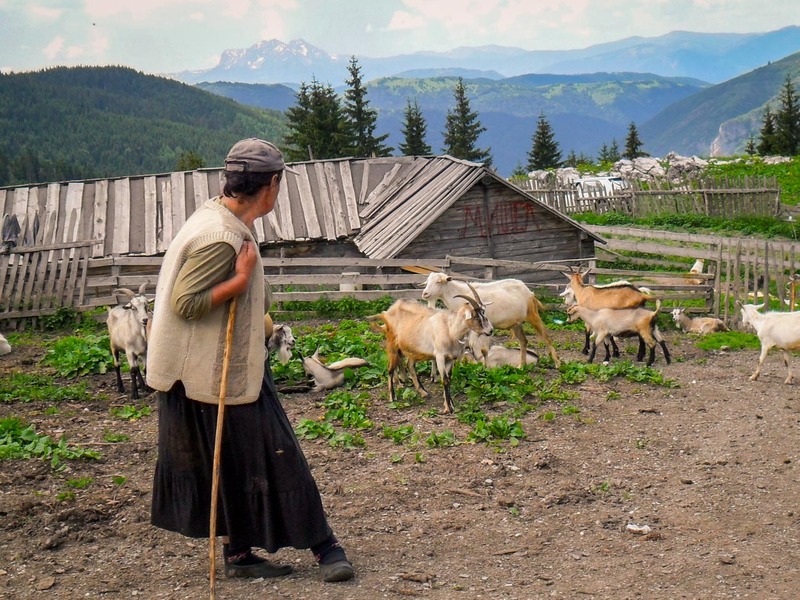 With your local guide and hosts, you will experience the exclusivity and authentic life of the mountain people on their mountain farms (Katuns) bordering Albania and Kosovo. Our trails and route take you to areas that are not yet really developed for organized tourism. However, we have close ties with the katuns. Our trekking tours help keep the katuns alive. 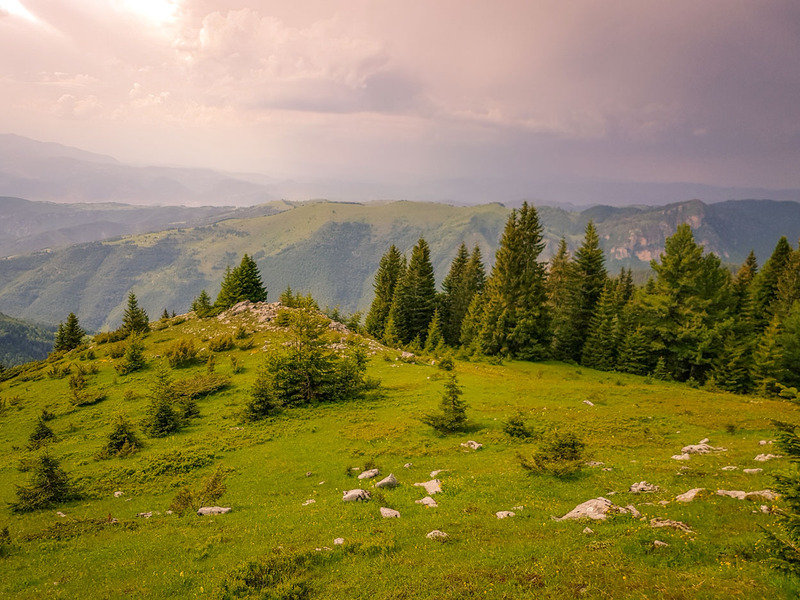 On this mountain adventure, you will travel through blooming meadows, deep forests, along romantic lakes, bubbling streams, and on narrow paths that have been used by shepherds for centuries. After you climb to a mountain peak, you will be rewarded with breathtaking views. In this area you can spend days and hardly meet other tourists. 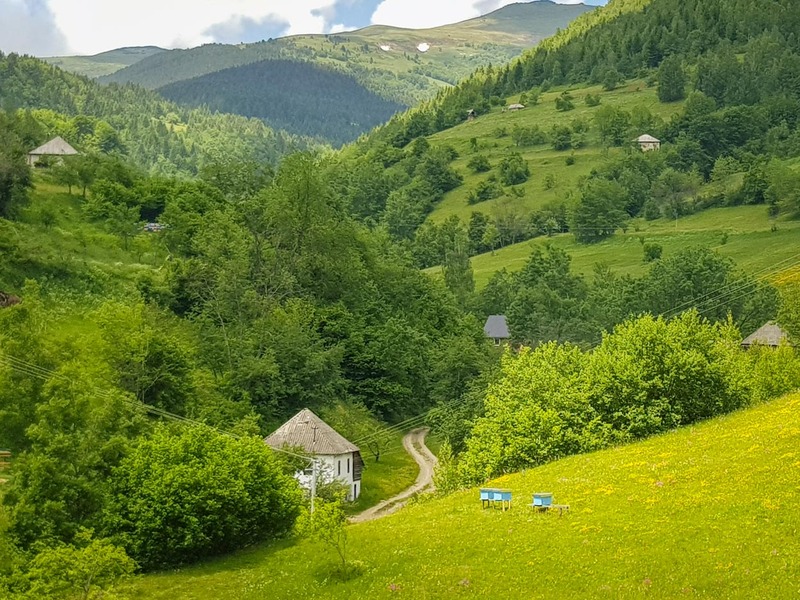 You will experience the mountains of Montenegro, their inhabitants and their flora and fauna unadulterated and up close. Hikers should have sufficient conditioning and surefootedness for this moderate to difficult tours. Above all, you should have the willingness to get involved with the people and their extraordinary self-sufficient way of life in the mountains. Expect a morning wash with cold water and the simplest sanitary conditions. Often, travelers will be disconnected from the public power grid, but small solar panels for energy are often present (mobile phones can be charged, even internet access is available at points along the way including a couple of the overnight stays). At dinner and during the customary schnapps you will learn about the centuries-old history of Montenegro, its families and its culture. On two afternoons, as the inhabitants used to do, we will cover part of our tour on real mountain horses. The horses are compliant, sure-footed and gentle, so no riding skills are required. As the horses walk in step, you can also walk beside the horses if you do not want to ride. Usually, travelers will take turns riding two horses along the trail. This provides a nice break, but the traditional saddle means that most participants are not conditioned to ride for extended periods. 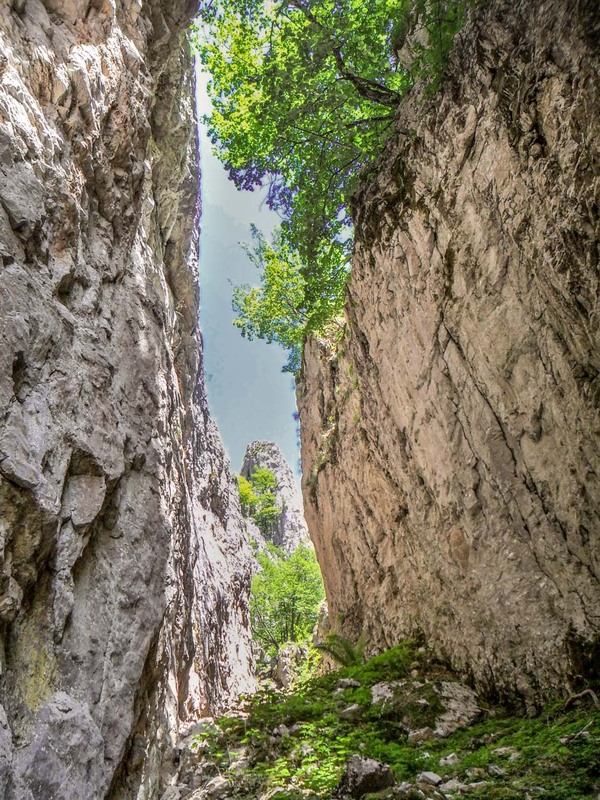 Drive to the Moraca Canyon, on the way visit the famous monastery Moraca. Extensive lunch in a beautiful place with one of our first host family in Glavica. Start of the hike from Katun to Katun to our host family in the Biogradska Gora National Park, which will house us the first night. Walking time 4 hours / length 9km / ascent 700m Descent 350m. 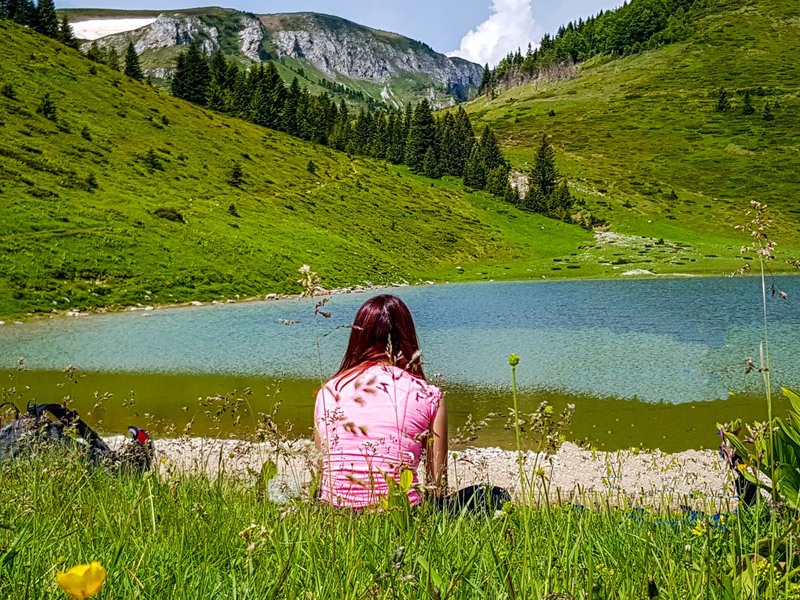 Day 2 – 8:00 AM – After a hearty breakfast, we start our hike to 4 mountain lakes (Sisko Jezero, Severine Jezero, Ursulovacko Jezero, Pesica Jezero) and Crna Glava (2139m), the highest mountain in the Bjelasica Mountains. We walk mainly over the tree line in meadows with sometimes steep climbs for fantastic views. Walking time: 6 hours / length 16 km / ascent 680m descent 570m. 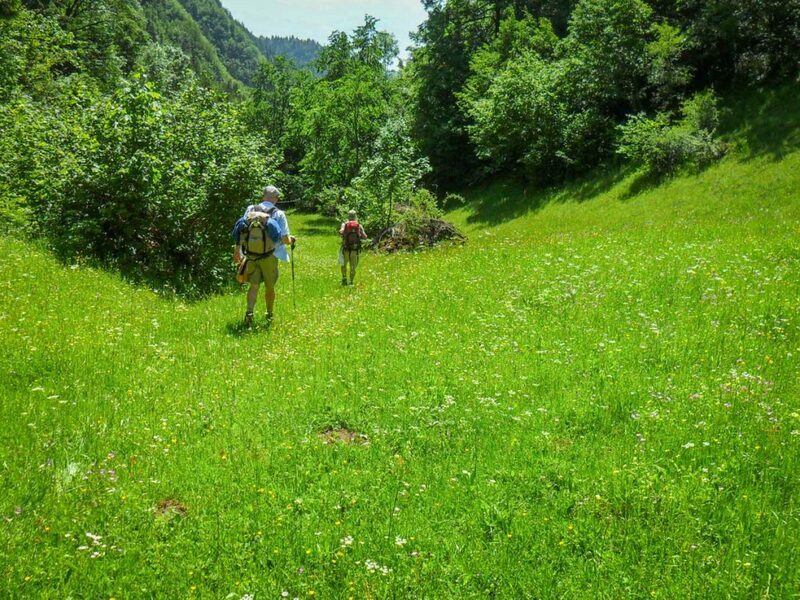 Day 3 – 9:00 AM – Start our hike in the surrounding mountains to Vodotres and the really impressive canyon Udovinjica Gorge. 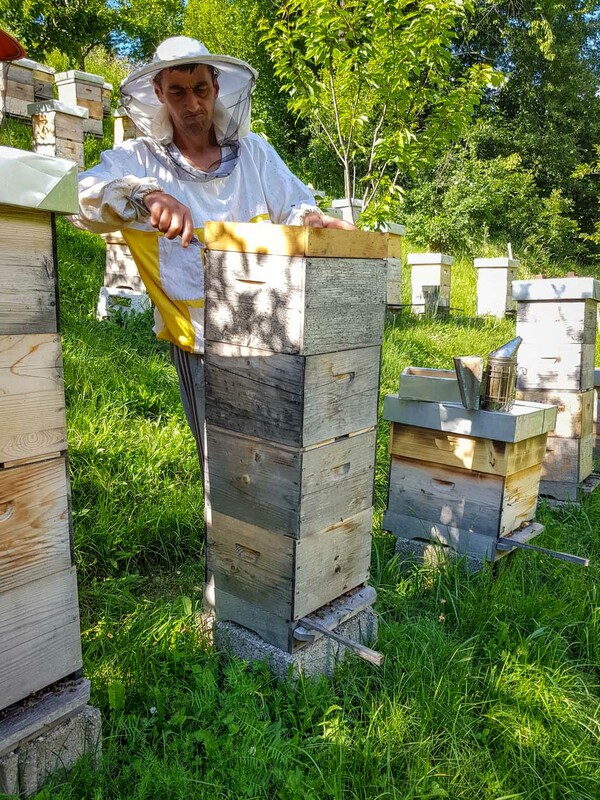 In the afternoon we drive to the beehives of our host Milan, where he shares about honey production in the mountains. Continue on to the 1730 m high alpine hut in the Cakor Mountains. Walking time 4 hours / length 8km / ascent 400m descent 400m. Car transfer from Lubnice-to Mt. Cakor is approximately 50min. Day 4 – We get up and are rewarded with farm to table breakfast and a breathtaking view over the surrounding mountains. We start our hike to Katun Masnicki. There, the horses are waiting for us, with whom we will manage the rest of the way to the accommodation. Walking time 3.0 hours / length 8km / ascent 150 m. Walking time with the horses 3.5h / length 9km / ascent 50m / descent 50m. Day 5 – 9:00 AM – Days start early in the mountain huts. 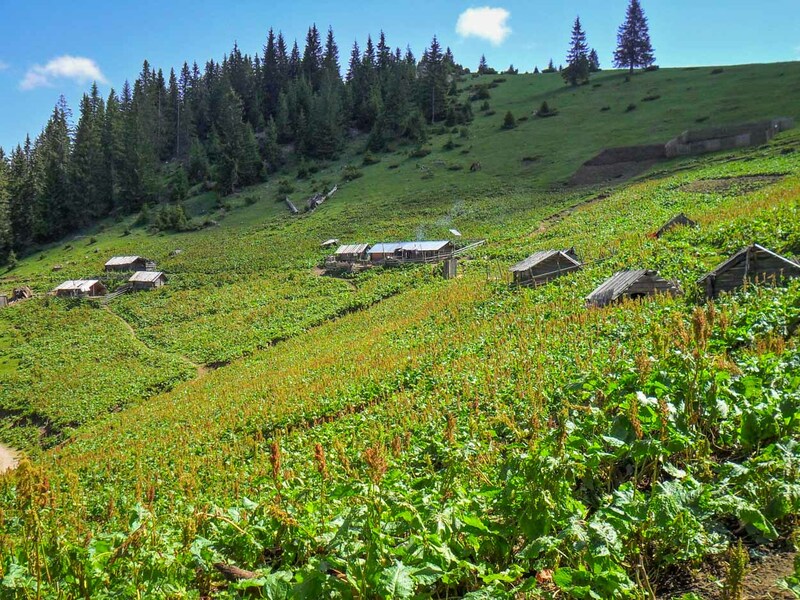 We also start early on our hike to the Katun Skrobutac. We have horses available again in the afternoon. Walking time 4 hours / length 10km / ascent 250m / descent 250m. Walking time with the horses: 2h / length 4.5km / ascent 300m / descent 120m. Day 6 – After waking up we enjoy the tranquility and fortify ourselves for the next hike back to the valley in the village Kaludra (938m). This day is mostly downhill. In the late afternoon we reach our Eko Hotel and can enjoy a beer on the terrace and later a rich dinner. Even an outdoor pool is available, so a bit of luxury on the penultimate day. Our luggage will be at the hotel when we arrive. Walking time 6 hours / length 17km / ascent 140 / descent 735m. Day 7 – 9:30 AM – We will start a little later on the last day with breakfast together and then a morning departure for Podgorica. The arrival time in Podgorica will be around 12:30. For the participants who fly home the same day we will organize the airport transfer. For participants who will only depart the next day, we organize overnight accommodation and transfer to the airport. We give you tips on what you can do, e.g. a relaxed boat trip on the Skadar Lake. Car transfer back to Podgorica 2.5 hours / 112 km. 2.5-7 hours walking time daily with partly steep climbs and also longer descents. Daily distance: 9-18km. Moderate to difficult hiking trails. Participants need good conditioning and sure-footedness is required. 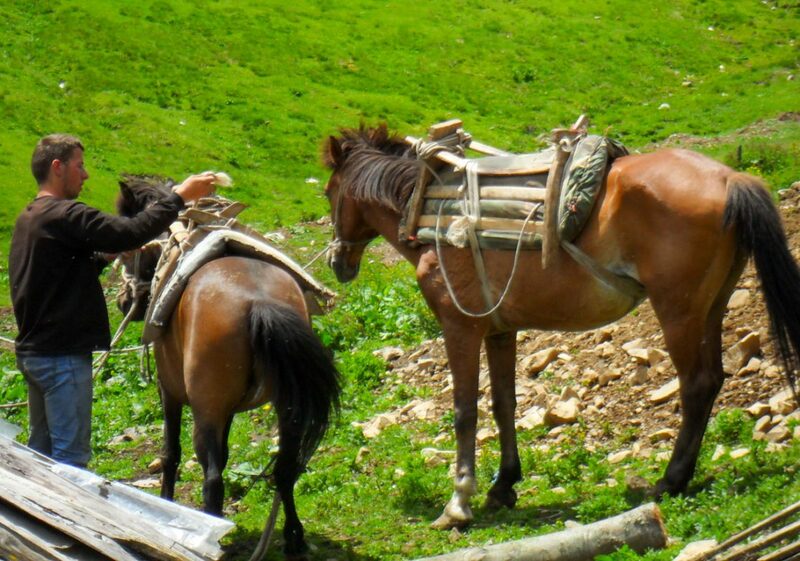 The horses are gentle, sure-footed mountain horses. The horses are led and go at a walking pace. 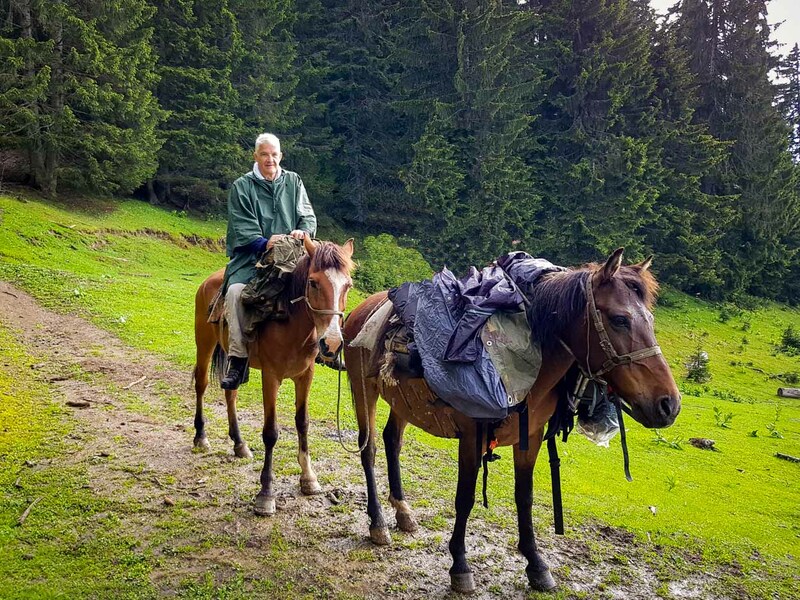 However, as in the old days, you ride on wooden saddles that are not necessarily comfortable for an inexperienced rider over a longer period, so we offer a combination of hiking and riding. Two participants share a horse and take turns. Backpacks are carried by the horses. Day 3 – cottage with 6 beds, toilet, washing facilities with cold water, water can be heated if necessary. Day 4 – Cabin with 6 beds, outhouse toilet 30m away, washing facilities with cold water, water can be heated if necessary. Day 5 – cottage with 4 beds and sleeping hut with 2 beds, toilet 50m, washing facilities with cold water, water can be heated if necessary. Day 6 – Ekohotel, 2-4 bed rooms with bath. All food comes from each family farm and is, therefore, ecologically produced. Meals are rather hearty, especially in the mountain huts. You eat what the inhabitants eat. Fruits and vegetables according to the season. For vegans, meals are not suitable because dairy is a staple food for the residents. For vegetarians, however, appropriate fare can be made. We walk in a water-rich area with many springs. The fresh spring waters are pure and potable.